Eminem and Bruno have a moment at the MTV Movie Awards. We found out later Sacha Baron Cohen and Eminem planned it. 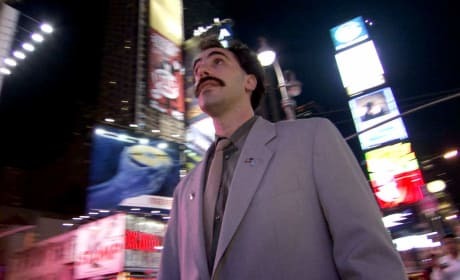 Borat visits Times Square in New York City. Sacha Baron Cohen is Borat. Borat arrives in America. 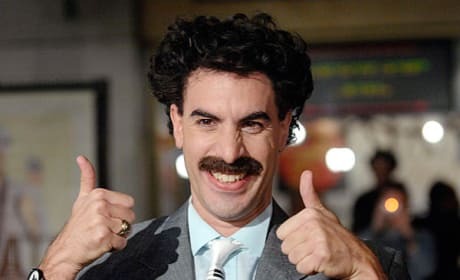 Sacha Baron Cohen is Borat in the comedy classic. 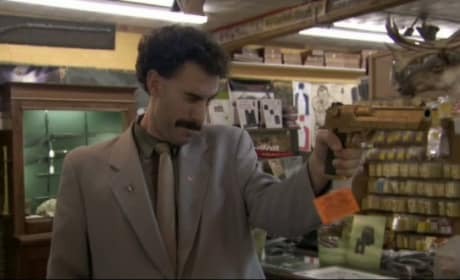 Borat has a gun! 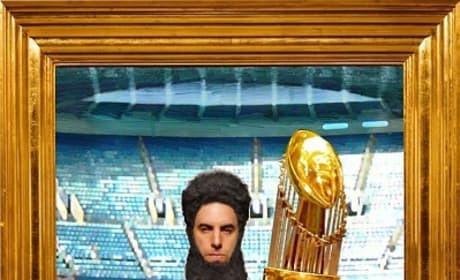 Borat stars Sacha Baron Cohen as the crazed journalist with no clue. Borat and his driving instructor. Sasha Baron Cohen stars in Borat. Borat at home in his home country. The comedy classic Borat still gets us laughing. 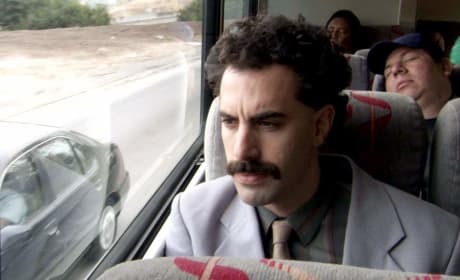 Borat is Sasha Baron Cohen. The Borat movie still makes us laugh uncontrollably. 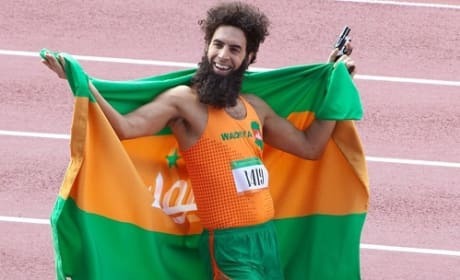 The Dictator, Sacha Baron Cohen, scores a victory in the Wadiya Games. 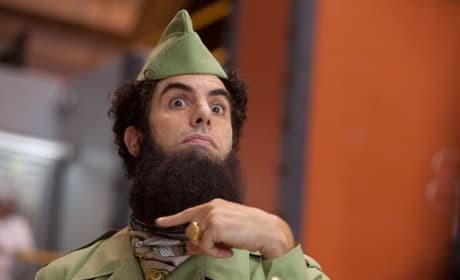 Sacha Baron Cohen is The Dictator. The film lands May 16. 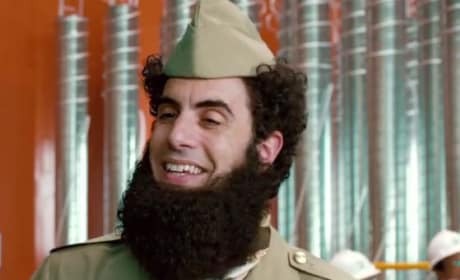 Sacha Baron Cohen is The Dictator. The film is now arriving on May 16. Sacha Baron Cohen has been well known since his television show on HBO, but really became a household name with his movie Borat. The comedian expanded his acting resume with a fun role in Sweeney Todd and was even nominated for an Oscar. 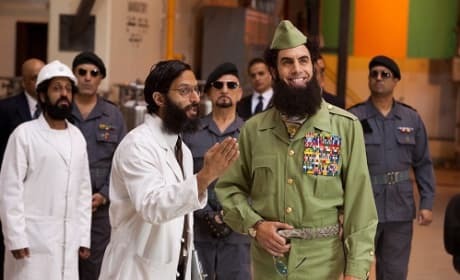 He's also starred in the comedies Bruno, The Dictator, and will be playing a big role in 2012's Les Miserables.